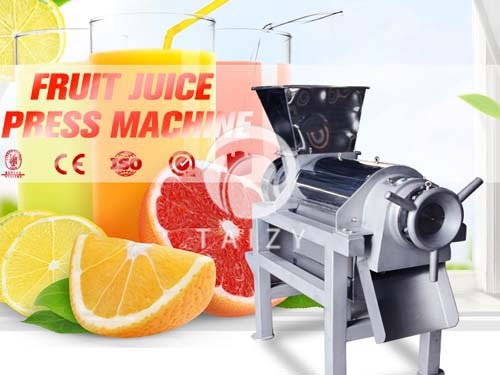 Potato washing and peeling machine is an equipment specially designed and manufactured by our company for washing or peeling fruits and vegetables such as carrot, potato, sweet potato, big ginger and kiwi. 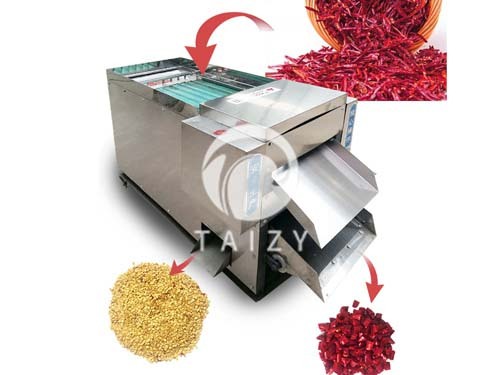 The working principle of the equipment is to use the rotation of the brush roller to remove the soil attaching to carrots and other vegetables. The upper part of the equipment is equipped with a spray pipe, which can spray and rinse the materials. Open the discharge port at the end of the equipment to discharge the material from the machine. 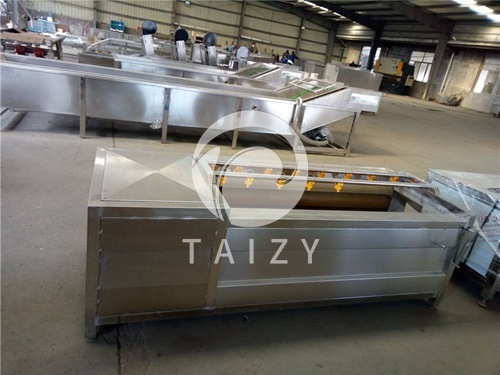 This equipment is mainly made of 304 stainless steel (motor reducer, electrical components, bearings, brush roller brush and other parts), in line with the hygienic requirements of food processing, the machine is easy to operate, and has features of stable and reliable work, low noise, high efficiency characteristics. 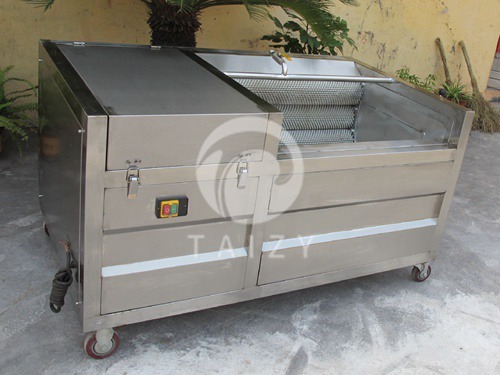 This potato peeler machine is mainly composed of brush roller, chain transmission device, water spray pipe, motor, box frame, electrical control switch, etc., the overall structure is compact, the structure is reasonable. 1. In the process of installation and transportation, some faults may occur to the equipment, so please check whether all parts of the equipment are functioning properly before use, such as whether all parts are properly connected, loose or deformed, etc. 2. The initial maintenance of the equipment covers the chain lubrication with gear oil, do not use grease. 1. 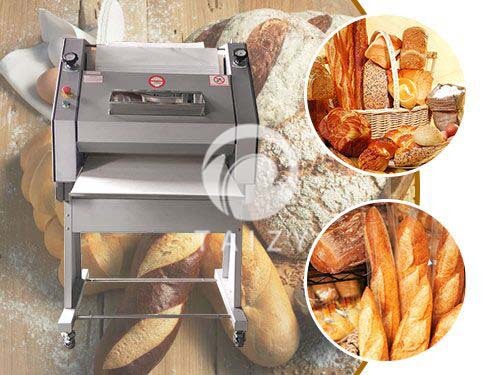 During operation, make sure that the potato peeler machine is in proper condition, and pour materials in avoiding mixing with impurities to prevent damage to the potato peeler machine equipment. 2. During use, the equipment shall be grounded to prevent electric accident. 3. In case of any emergency appearing during the operation of the potato peeler machine equipment, the power shall be cut off in time for repair. 4. After work, cut off the power supply for cleaning to ensure proper operation next time. 1. Check whether all parts of the Potato peeler machine to see if it is working properly a week later, after being used for the first time. 2. After the initial inspection and maintenance of the Potato peeler machine, the chain and other transmission parts shall be inspected and lubricated every three days, and the bearing shall be lubricated every 15 days for maintenance. 3. Check each part of the Potato peeler machine monthly, including chain, bolt, motor, reducer, motor control switch, bearing and brush roller. 4. After using for one year, the condition and damage degree of all chains and bearings should be carefully checked in time, and it is suggested to replace the parts with serious damage, so as to ensure that the equipment will not break down during use then delay schedule.